Perhaps because of how comfy and cozy it is, carpet has remained a popular flooring solution among homeowners and renters for decades. But that same cozy carpeting that keeps the floors warm to the touch could also be the cause of countless health and wellness complications, according to doctors and flooring experts alike. To help you get an idea of how these trapped pollutants can affect your family’s health both now and over time, take a look at the list of ways carpeting endangers good wellbeing. Because the dense fibers of carpet make it difficult to completely remove these pollutants, they can begin to affect air quality over time. Between kitchen activities, young children, and house-bound pets, keeping a floor dry can be a challenge. For households with carpet, moisture is a huge problem. Carpeting in the living area and bedrooms is often prone to accidental spills—even when the moisture is soaked up immediately, it’s not uncommon for carpet fibers to remain somewhat damp. 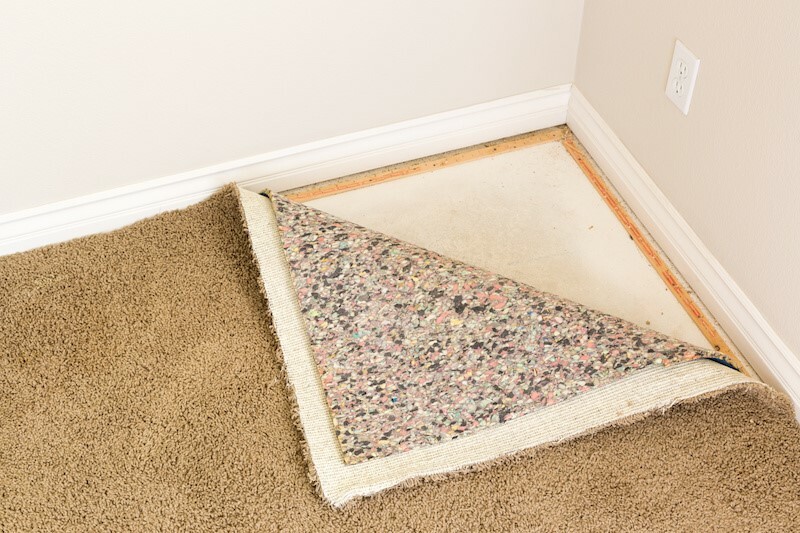 If carpet isn’t dried completely after a spill, it could become susceptible to mould and mildew. Carpet’s susceptibility to indoor air pollutants is only half of its effect on health and wellbeing. A large number of carpets are made with adhesive glues. These adhesives help to keep the fibers attached to the base of the carpeting, but unfortunately, they also contain volatile organic compounds, otherwise known as VOC’s. Found in toxic substances like cigarette smoke and pesticides, VOC’s aren’t necessarily something you’d welcome into your home. Regardless, new carpets emit VOC’s in large quantities as they are installed and the days following. Does your family clean the carpet frequently enough? Flooring experts suggest vacuuming at least once a week and deep cleaning the carpeting with a steam cleaner once annually. For homes with pets, this maintenance schedule should be increased in frequency to keep up with pet hair. That said, it’s not uncommon for busy families to struggle with a strict cleaning schedule. If your household is one of the many that don’t find time to vacuum on a weekly basis, consider investing in an easy to clean floor instead. The benefit of solid-timber flooring is the fact that it doesn’t trap dirt, dust, or other household pollutants within the floor. In fact, hardwood floors are considered 100% hypoallergenic – because they’re extremely easy to clean (just give them a brush over with a semi-damp micro fiber cloth) it’s likely your allergies and indoor air quality will improve dramatically.